On May 25, the FBI asked us all to reboot our routers. The story behind this request is one of sophisticated malware and unsophisticated home-network security, and it’s a harbinger of the sorts of pervasive threats ­ from nation-states, criminals and hackers ­ that we should expect in coming years. VPNFilter is a sophisticated piece of malware that infects mostly older home and small-office routers made by Linksys, MikroTik, Netgear, QNAP and TP-Link. (For a list of specific models, click here.) It’s an impressive piece of work. It can eavesdrop on traffic passing through the router ­ specifically, log-in credentials and SCADA traffic, which is a networking protocol that controls power plants, chemical plants and industrial systems ­ attack other targets on the Internet and destructively “kill” its infected device. It is one of a very few pieces of malware that can survive a reboot, even though that’s what the FBI has requested. It has a number of other capabilities, and it can be remotely updated to provide still others. More than 500,000 routers in at least 54 countries have been infected since 2016. Because of the malware’s sophistication, VPNFilter is believed to be the work of a government. The FBI suggested the Russian government was involved for two circumstantial reasons. One, a piece of the code is identical to one found in another piece of malware, called BlackEnergy, that was used in the December 2015 attack against Ukraine’s power grid. Russia is believed to be behind that attack. And two, the majority of those 500,000 infections are in Ukraine and controlled by a separate command-and-control server. There might also be classified evidence, as an FBI affidavit in this matter identifies the group behind VPNFilter as Sofacy, also known as APT28 and Fancy Bear. That’s the group behind a long list of attacks, including the 2016 hack of the Democratic National Committee. Two companies, Cisco and Symantec, seem to have been working with the FBI during the past two years to track this malware as it infected ever more routers. The infection mechanism isn’t known, but we believe it targets known vulnerabilities in these older routers. Pretty much no one patches their routers, so the vulnerabilities have remained, even if they were fixed in new models from the same manufacturers. On May 30, the FBI seized control of toknowall.com, a critical VPNFilter command-and-control server. This is called “sinkholing,” and serves to disrupt a critical part of this system. When infected routers contact toknowall.com, they will no longer be contacting a server owned by the malware’s creators; instead, they’ll be contacting a server owned by the FBI. This doesn’t entirely neutralize the malware, though. It will stay on the infected routers through reboot, and the underlying vulnerabilities remain, making the routers susceptible to reinfection with a variant controlled by a different server. So if it won’t clear out the malware, why is the FBI asking us to reboot our routers? It’s mostly just to get a sense of how bad the problem is. The FBI now controls toknowall.com. When an infected router gets rebooted, it connects to that server to get fully reinfected, and when it does, the FBI will know. Rebooting will give it a better idea of how many devices out there are infected. Should you do it? It can’t hurt. Internet of Things malware isn’t new. The 2016 Mirai botnet, for example, created by a lone hacker and not a government, targeted vulnerabilities in Internet-connected digital video recorders and webcams. Other malware has targeted Internet-connected thermostats. Lots of malware targets home routers. These devices are particularly vulnerable because they are often designed by ad hoc teams without a lot of security expertise, stay around in networks far longer than our computers and phones, and have no easy way to patch them. It wouldn’t be surprising if the Russians targeted routers to build a network of infected computers for follow-on cyber operations. I’m sure many governments are doing the same. As long as we allow these insecure devices on the Internet ­ and short of security regulations, there’s no way to stop them ­ we’re going to be vulnerable to this kind of malware. And next time, the command-and-control server won’t be so easy to disrupt. EDITED TO ADD: The malware is more capable than we previously thought. Following in the footsteps of similar operations around the world, two years ago the copyright trolling movement landed on Swedish shores. The pattern was a familiar one, with trolls harvesting IP addresses from BitTorrent swarms and tracing them back to Internet service providers. Then, after presenting evidence to a judge, the trolls obtained orders that compelled ISPs to hand over their customers’ details. From there, the trolls demanded cash payments to make supposed lawsuits disappear. It’s a controversial business model that rarely receives outside praise. Many ISPs have tried to slow down the flood but most eventually grow tired of battling to protect their customers. The same cannot be said of Swedish ISP Bahnhof. The ISP, which is also a strong defender of privacy, has become known for fighting back against copyright trolls. Indeed, to thwart them at the very first step, the company deletes IP address logs after just 24 hours, which prevents its customers from being targeted. Bahnhof says that the copyright business appeared “dirty and corrupt” right from the get go, so it now operates Utpressningskollen.se, a web portal where the ISP publishes data on Swedish legal cases in which copyright owners demand customer data from ISPs through the Patent and Market Courts. Over the past two years, Bahnhof says it has documented 76 cases of which six are still ongoing, 11 have been waived and a majority 59 have been decided in favor of mainly movie companies. Bahnhof says that when it discovered that 59 out of the 76 cases benefited one party, it felt a need to investigate. “One of the judges, we can call them Judge 1, has closed 12 of the cases, of which two have been waived and the other 10 have benefitted the copyright owner, mostly movie companies,” Lindahl notes. “Judge 1 apparently has written several articles in the magazine NIR – Nordiskt Immateriellt Rättsskydd (Nordic Intellectual Property Protection) – which is mainly supported by Svenska Föreningen för Upphovsrätt, the Swedish Association for Copyright (SFU). Bahnhof says that the financiers of the SFU are Sveriges Television AB (Sweden’s national public TV broadcaster), Filmproducenternas Rättsförening (a legally-oriented association for filmproducers), BMG Chrysalis Scandinavia (a media giant) and Fackförbundet för Film och Mediabranschen (a union for the movie and media industry). “This means that Judge 1 is involved in a copyright association sponsored by the film and media industry, while also judging in copyright cases with the film industry as one of the parties,” the ISP says. Bahnhof’s also has criticism for Judge 2, who participated as an event speaker for the Swedish Association for Copyright, and Judge 3 who has written for the SFU-supported magazine NIR. According to Lindahl, Judge 4 worked for a bureau that is partly owned by a board member of SFU, who also defended media companies in a “high-profile” Swedish piracy case. That leaves Judge 5, who handled 10 of the copyright troll cases documented by Bahnhof, waiving one and deciding the remaining nine in favor of a movie company plaintiff. “Judge 5 has been questioned before and even been accused of bias while judging a high-profile piracy case almost ten years ago. The accusations of bias were motivated by the judge’s membership of SFU and the Swedish Association for Intellectual Property Rights (SFIR), an association with several important individuals of the Swedish copyright community as members, who all defend, represent, or sympathize with the media industry,” Lindahl says. Bahnhof hasn’t named any of the judges nor has it provided additional details on the “high-profile” case. However, anyone who remembers the infamous trial of ‘The Pirate Bay Four’ a decade ago might recall complaints from the defense (1,2,3) that several judges involved in the case were members of pro-copyright groups. While there were plenty of calls to consider them biased, in May 2010 the Supreme Court ruled otherwise, a fact Bahnhof recognizes. “Judge 5 was never sentenced for bias by the court, but regardless of the court’s decision this is still a judge who shares values and has personal connections with [the media industry], and as if that weren’t enough, the judge has induced an additional financial aspect by participating in events paid for by said party,” Lindahl writes. The decision-makers of the Patent and Market Court and their relations. The ISP notes that all five judges have connections to the media industry in the cases they judge, which isn’t a great starting point for returning “objective and impartial” results. In its summary, however, the ISP is scathing of the overall system, one in which court cases “almost looked rigged” and appear to be decided in favor of the movie company even before reaching court. 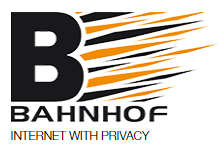 In general, however, Bahnhof says that the processes show a lack of individual attention, such as the court blindly accepting questionable IP address evidence supplied by infamous anti-piracy outfit MaverickEye. “The court never bothers to control the media company’s only evidence (lists generated by MaverickMonitor, which has proven to be an unreliable software), the court documents contain several typos of varying severity, and the same standard texts are reused in several different cases,” the ISP says. “The court documents show a lack of care and control, something that can easily be taken advantage of by individuals with shady motives. The findings and discoveries of this investigation are strengthened by the pure numbers mentioned in the beginning which clearly show how one party almost always wins. “If this is caused by bias, cheating, partiality, bribes, political agenda, conspiracy or pure coincidence we can’t say for sure, but the fact that this process has mainly generated money for the film industry, while citizens have been robbed of their personal integrity and legal certainty, indicates what forces lie behind this machinery,” Bahnhof’s Lindahl concludes. Most piracy-focused sites online conduct their business with minimal interference from outside parties. In many cases, a heap of DMCA notices filed with Google represents the most visible irritant. Others, particularly those with large audiences, can find themselves on the end of a web blockade. Mostly court-ordered, blocking measures restrict the ability of Internet users to visit a site due to ISPs restricting traffic. In some regions, where copyright holders have the means to do so, they choose to tackle a site’s infrastructure instead, which could mean complaints to webhosts or other service providers. At times, this has included domain registries, who are asked to disable domains on copyright grounds. This is exactly what has happened to Fox-MusicaGratis.com, a Spanish-language music piracy site that incurred the wrath of IFPI member UNIMPRO – the Peruvian Union of Phonographic Producers. In a process that’s becoming more common in the region, UNIMPRO initially filed a complaint with the Copyright Commission (Comisión de Derecho de Autor (CDA)) which conducted an investigation into the platform’s activities. “The CDA considered, among other things, the irreparable damage that would have been caused to the legitimate rights owners, taking into account the large number of users who could potentially have visited said website, which was making available endless musical recordings for commercial purposes, without authorization of the holders of rights,” a statement from CDA reads. 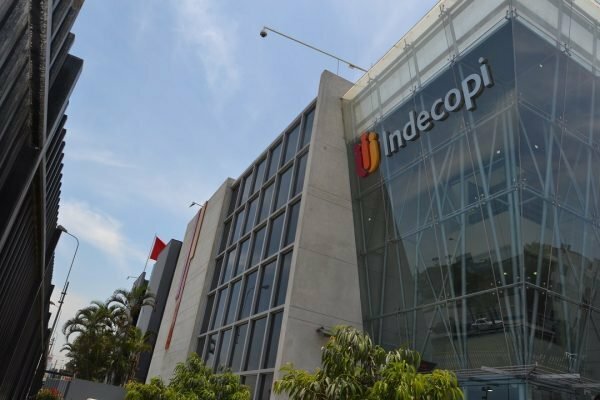 The administrative process was carried out locally with the involvement of the National Institute for the Defense of Competition and the Protection of Intellectual Property (Indecopi), an autonomous public body tasked with handling anti-competitive behavior, unfair competition, and intellectual property matters. The matter was decided in favor of the rightsholders and a subsequent ruling included an instruction for US-based domain name registry GoDaddy to suspend Fox-MusicaGratis.com. According to the copyright protection entity, GoDaddy agreed to comply, to prevent further infringement. This latest action involving a music piracy site registered with GoDaddy follows on the heels of a similar enforcement process back in March. Mp3Juices-Download-Free.com, Melodiavip.net, Foxmusica.site and Fulltono.me were all music sites offering MP3 content without copyright holders’ permission. They too were the subject of an UNIMPRO complaint which resulted in orders for GoDaddy to suspend their domains. In the cases of all five websites, GoDaddy was given the chance to appeal but there is no indication that the company has done so. GoDaddy did not respond to a request for comment. Back in January, a coalition of companies and organizations with ties to the entertainment industries called on local telecoms regulator CRTC to implement a national website blocking regime. 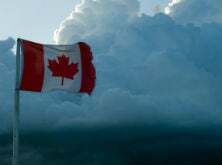 Under the banner of Fairplay Canada, members including Bell, Cineplex, Directors Guild of Canada, Maple Leaf Sports and Entertainment, Movie Theatre Association of Canada, and Rogers Media, spoke of an industry under threat from marauding pirates. But just how serious is this threat? The results of a new survey commissioned by Innovation Science and Economic Development Canada (ISED) in collaboration with the Department of Canadian Heritage (PCH) aims to shine light on the problem by revealing the online content consumption habits of citizens in the Great White North. While there are interesting findings for those on both sides of the site-blocking debate, the situation seems somewhat removed from the Armageddon scenario predicted by the entertainment industries. Carried out among 3,301 Canadians aged 12 years and over, the Kantar TNS study aims to cover copyright infringement in six key content areas – music, movies, TV shows, video games, computer software, and eBooks. Attitudes and behaviors are also touched upon while measuring the effectiveness of Canada’s copyright measures. In its introduction, the report notes that 28 million Canadians used the Internet in the three-month study period to November 27, 2017. Of those, 22 million (80%) consumed digital content. Around 20 million (73%) streamed or accessed content, 16 million (59%) downloaded content, while 8 million (28%) shared content. Music, TV shows and movies all battled for first place in the consumption ranks, with 48%, 48%, and 46% respectively. According to the study, the majority of Canadians do things completely by the book. An impressive 74% of media-consuming respondents said that they’d only accessed material from legal sources in the preceding three months. The remaining 26% admitted to accessing at least one illegal file in the same period. Of those, just 5% said that all of their consumption was from illegal sources, with movies (36%), software (36%), TV shows (34%) and video games (33%) the most likely content to be consumed illegally. Interestingly, the study found that few demographic factors – such as gender, region, rural and urban, income, employment status and language – play a role in illegal content consumption. “We found that only age and income varied significantly between consumers who infringed by downloading or streaming/accessing content online illegally and consumers who did not consume infringing content online,” the report reads. It will come as no surprise that Netflix was the most popular service with consumers, with 64% having used it in the past three months. Sites like YouTube and Facebook were a big hit too, visited by 36% and 28% of content consumers respectively. Overall, 74% of online content consumers use licensed services for content while 42% use social networks. Under a third (31%) use a combination of peer-to-peer (BitTorrent), cyberlocker platforms, or linking sites. Stream-ripping services are used by 9% of content consumers. “Consumers who reported downloading or streaming/accessing infringing content only are less likely to use licensed services and more likely to use peer-to-peer/cyberlocker/linking sites than other consumers of online content,” the report notes. In common with similar surveys over the years, the Kantar research looked at the reasons why people consume content from various sources, both legal and otherwise. Convenience (48%), speed (36%) and quality (34%) were the most-cited reasons for using legal sources. An interesting 33% of respondents said they use legal sites to avoid using illegal sources. On the illicit front, 54% of those who obtained unauthorized content in the previous three months said they did so due to it being free, with 40% citing convenience and 34% mentioning speed. Almost six out of ten (58%) said lower costs would encourage them to switch to official sources, with 47% saying they’d move if legal availability was improved. People in Canada who share content on peer-to-peer systems like BitTorrent without permission run the risk of receiving an infringement notice warning them to stop. These are sent by copyright holders via users’ ISPs and the hope is that the shock of receiving a warning will turn consumers back to the straight and narrow. The study reveals that 10% of online content consumers over the age of 12 have received one of these notices but what kind of effect have they had? “Respondents reported that receiving such a notice resulted in the following: increased awareness of copyright infringement (38%), taking steps to ensure password protected home networks (27%), a household discussion about copyright infringement (27%), and discontinuing illegal downloading or streaming (24%),” the report notes. While these are all positives for the entertainment industries, Kantar reports that almost a quarter (24%) of people who receive a notice simply ignore them. Once upon a time, people obtaining music via P2P networks was cited as the music industry’s greatest threat but, with the advent of sites like YouTube, so-called stream-ripping is the latest bogeyman. According to the study, 11% of Internet users say they’ve used a stream-ripping service. They are most likely to be male (62%) and predominantly 18 to 34 (52%) years of age. “Among Canadians who have used a service to stream-rip music or entertainment, nearly half (48%) have used stream-ripping sites, one-third have used downloader apps (38%), one-in-seven (14%) have used a stream-ripping plug-in, and one-in-ten (10%) have used stream-ripping software,” the report adds. Few general piracy studies would be complete in 2018 without touching on set-top devices and Virtual Private Networks and this report doesn’t disappoint. More than one in five (21%) respondents aged 12+ reported using a VPN, with the main purpose of securing communications and Internet browsing (57%). A relatively modest 36% said they use a VPN to access free content while 32% said the aim was to access geo-blocked content unavailable in Canada. Just over a quarter (27%) said that accessing content from overseas at a reasonable price was the main motivator. One in ten (10%) of respondents reported using a set-top box, with 78% stating they use them to access paid-for content. Interestingly, only a small number say they use the devices to infringe. “A minority use set-top boxes to access other content that is not legal or they are unsure if it is legal (16%), or to access live sports that are not legal or they are unsure if it is legal (11%),” the report notes. Kantar says that the findings of the report will be used to help policymakers evaluate how Canada’s Copyright Act is coping with a changing market and technological developments. “This research will provide the necessary information required to further develop copyright policy in Canada, as well as to provide a foundation to assess the effectiveness of the measures to address copyright infringement, should future analysis be undertaken,” it concludes. As Internet-capable set-top boxes pour into homes across all populated continents, authorities seem almost powerless to come up with a significant response to the growing threat. In standard form these devices, which are often Android-based, are entirely legal. However, when configured with specialist software they become piracy powerhouses providing access to all content imaginable, often at copyright holders’ expense. A large proportion of these devices come from Asia, China in particular, but it’s relatively rare to hear of enforcement action in that part of the world. That changed this week with an announcement from Hong Kong customs detailing a series of raids in the areas of Sham Shui Po and Wan Chai. After conducting an in-depth investigation with the assistance of copyright holders, on May 25 and 26 Customs and Excise officers launched Operation Trojan Horse, carrying out a series of raids on four premises selling suspected piracy-configured set-top boxes. During the operation, officers arrested seven men and one woman aged between 18 and 45. Four of them were shop owners and the other four were salespeople. Around 354 suspected ‘pirate’ boxes were seized with an estimated market value of HK$320,000 (US$40,700). “In the past few months, the department has stepped up inspections of hotspots for TV set-top boxes,” a statement from authorities reads. During a press conference yesterday, a representative from the Customs Copyright and Trademark Investigations (Action) Division said that in the run up to the World Cup in 2018, measures against copyright infringement will be strengthened both on and online. The announcement was welcomed by the Cable and Satellite Broadcasting Association of Asia’s (CASBAA) Coalition Against Piracy, which is back by industry heavyweights including Disney, Fox, HBO Asia, NBCUniversal, Premier League, Turner Asia-Pacific, A&E Networks, Astro, BBC Worldwide, National Basketball Association, TV5MONDE, Viacom International, and others. 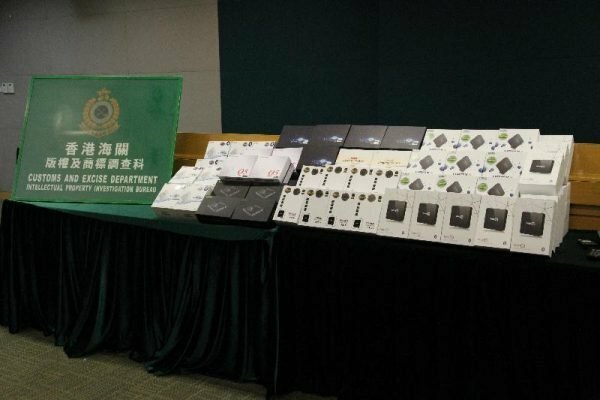 “We commend the great work of Hong Kong Customs in clamping down on syndicates who profit from the sale of Illicit Streaming Devices,” said General Manager Neil Gane. 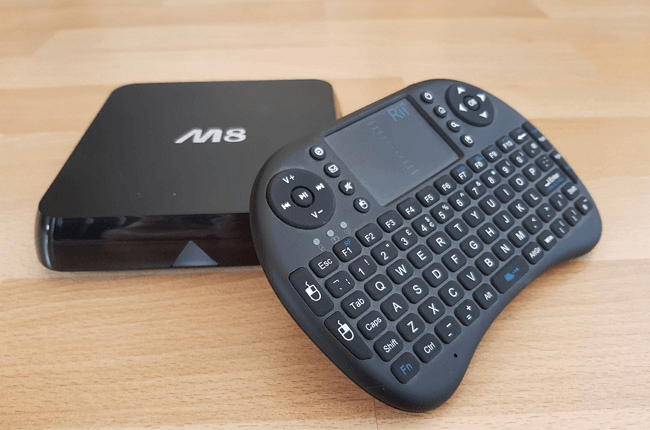 Malware warnings are very prevalent these days but it’s not something the majority of set-top box owners have a problem with. Indeed, a study carried by Sycamore Research found that pirates aren’t easily deterred by such warnings. Nevertheless, there are definite risks for individuals selling devices when they’re configured for piracy. Recent cases, particularly in the UK, have shown that hefty jail sentences can hit offenders while over in the United States (1,2,3), lawsuits filed by the Alliance for Creativity and Entertainment (ACE) have the potential to end in unfavorable rulings for multiple defendants. Although rarely reported, offenders in Hong Kong also face stiff sentences for this kind of infringement including large fines and custodial sentences of up to four years. After a Moscow court gave the go-ahead for Telegram to be banned in Russia last month, the Internet became a battleground. On the instructions of telecoms watchdog Roscomnadzor, ISPs across Russia tried to block Telegram by blackholing millions of IP addresses. The effect was both dramatic and pathetic. While Telegram remained stubbornly online, countless completely innocent services suffered outages as Roscomnadzor charged ahead with its mission. Over the past several weeks, Roscomnadzor has gone some way to clean up the mess, partly by removing innocent Google and Amazon IP addresses from Russia’s blacklist. However, the collateral damage was so widespread it’s called into question the watchdog’s entire approach to web-blockades and whether they should be carried out at any cost. This week, thanks to an annual report presented to President Vladimir Putin by business ombudsman Boris Titov, the matter looks set to be escalated. ‘The Book of Complaints and Suggestions of Russian Business’ contains comments from Internet ombudsman Dmitry Marinichev, who says that the Prosecutor General’s Office should launch an investigation into Roscomnadzor’s actions. Marinichev said that when attempting to take down Telegram using aggressive technical means, Roscomnadzor relied upon “its own interpretation of court decisions” to provide guidance, TASS reports. “When carrying out blockades of information resources, Roskomnadzor did not assess the related damage caused to them,” he said. More than 15 million IP addresses were blocked, many of them with functions completely unrelated to the operations of Telegram. Marinichev said that the consequences were very real for those who suffered collateral damage. “[The blocking led] to a temporary inaccessibility of Internet resources of a number of Russian enterprises in the Internet sector, including several banks and government information resources,” he reported. Early May, it was reported that in addition to various web services, around 50 VPN, proxy and anonymization platforms had been blocked for providing access to Telegram. In a May 22 report, that number had swelled to more than 80 although 10 were later unblocked after they stopped providing access to the messaging platform. This week, Roscomnadzor has continued with efforts to block access to torrent and streaming platforms. In a new wave of action, the telecoms watchdog ordered ISPs to block at least 47 mirrors and proxies providing access to previously blocked sites. While several countries in Europe have wilted under sustained pressure from copyright trolls for more than ten years, Sweden managed to avoid their controversial attacks until fairly recently. In September 2016 it was revealed that an organization calling itself Spridningskollen (Distribution Check) headed up by law firm Gothia Law, would begin targeting the public. Its spokesperson described its letters as “speeding tickets” for pirates, in that they would only target the guilty. But there was a huge backlash and just a couple of months later Spridningskollen headed for the hills, without a single collection letter being sent out. That was the calm before the storm. In February 2017, Danish law firm Njord Law was found to be at the center of a new troll operation targeting the subscribers of several ISPs, including Telia, Tele2 and Bredbandsbolaget. Court documents revealed that thousands of IP addresses had been harvested by the law firm’s partners who were determined to link them with real-life people. Indeed, in a single batch, Njord Law was granted permission from the court to obtain the identities of citizens behind 25,000 IP addresses, from whom it hoped to obtain cash settlements of around US$550. But it didn’t stop there. Time and again the trolls headed back to court in an effort to reach more people although until now the true scale of their operations has been open to question. However, a new investigation carried out by SVT has revealed that the promised copyright troll invasion of Sweden is well underway with a huge level of momentum. 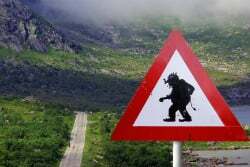 Data collated by the publication reveals that since 2017, the personal details behind more than 50,000 IP addresses have been handed over by Swedish Internet service providers to law firms representing copyright trolls and their partners. By the end of this year, Njord Law alone will have sent out 35,000 letters to Swede’s whose IP addresses have been flagged as allegedly infringing copyright. Even if one is extremely conservative with the figures, the levels of cash involved are significant. Taking a settlement amount of just $300 per letter, very quickly the copyright trolls are looking at $15,000,000 in revenues. On the perimeter, assuming $550 will make a supposed lawsuit go away, we’re looking at a potential $27,500,000 in takings. But of course, this dragnet approach doesn’t have the desired effect on all recipients. In 2017, Njord Law said that only 60% of its letters received any kind of response, meaning that even fewer would be settling with the company. So what happens when the public ignores the threatening letters? “Yes, we will [go to court],” said lawyer Jeppe Brogaard Clausen last year. But despite the tough-talking, SVT’s investigation has turned up an interesting fact. The nuclear option, of taking people to court and winning a case when they refuse to pay, has never happened. After trawling records held by the Patent and Market Court and all those held by the District Courts dating back five years, SVT did not find a single case of a troll taking a citizen to court and winning a case. Furthermore, no law firm contacted by the publication could show that such a thing had happened. “In Sweden, we have not yet taken someone to court, but we are planning to file for the right in 2018,” Emelie Svensson, lawyer at Njord Law, told SVT. While a case may yet reach the courts, when it does it is guaranteed to be a cut-and-dried one. Letter recipients can often say things to damage their case, even when they’re only getting a letter due to their name being on the Internet bill. These are the people who find themselves under the most pressure to pay, whether they’re guilty or not. “There is a risk of what is known in English as ‘legal blackmailing’,” says Mårten Schultz, professor of civil law at Stockholm University. It’s a position shared by Marianne Levine, Professor of Intellectual Property Law at Stockholm University. “One can only show that an IP address appears in some context, but there is no point in the evidence. Namely, that it is the subscriber who also downloaded illegitimate material,” she told SVT. Njord Law, on the other hand, sees things differently. “In Sweden, we have no legal case saying that you are not responsible for your IP address,” Emelie Svensson says. Whether Njord Law will carry through with its threats will remain to be seen but there can be little doubt that while significant numbers of people keep paying up, this practice will continue and escalate. The trolls have come too far to give up now. We’re usually averse to buzzwords at HackSpace magazine, but not this month: in issue 7, we’re taking a deep dive into the Internet of Things. To many people, IoT is a shady term used by companies to sell you something you already own, but this time with WiFi; to us, it’s a way to make our builds smarter, more useful, and more connected. 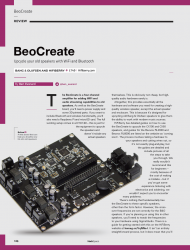 In HackSpace magazine #7, you can join us on a tour of the boards that power IoT projects, marvel at the ways in which other makers are using IoT, and get started with your first IoT project! DIY retro computing: this issue, we’re taking our collective hat off to Spencer Owen. He stuck his home-brew computer on Tindie thinking he might make a bit of beer money — now he’s paying the mortgage with his making skills and inviting others to build modules for his machine. 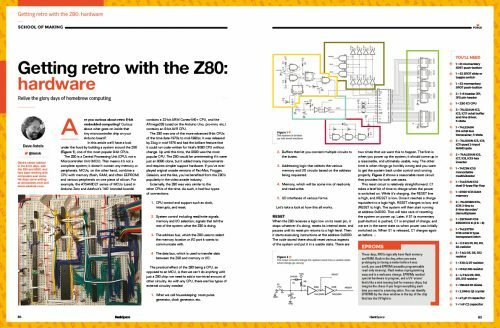 And if that tickles your fancy, why not take a crack at our Z80 tutorial? Get out your breadboard, assemble your jumper wires, and prepare to build a real-life computer! 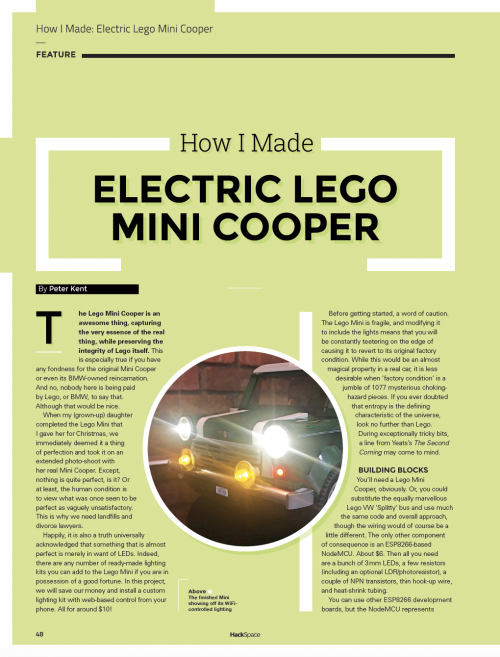 Shameless patriotism: combine Lego, Arduino, and the car of choice for 1960 gold bullion thieves, and you’ve got yourself a groovy weekend project. We proudly present to you one man’s epic quest to add LED lights (controllable via a smartphone!) to his daughter’s LEGO Mini Cooper. Patriotism intensifies: for the last 200-odd years, the Black Country has been a hotbed of making. 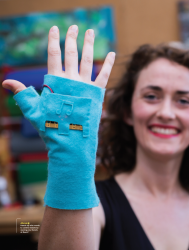 Urban Hax, based in Walsall, is the latest makerspace to show off its riches in the coveted Space of the Month pages. Every space has its own way of doing things, but not every space has a portrait of Rob Halford on the wall. All hail! Diversity: advice on diversity often boils down to ‘Be nice to people’, which might feel more vague than actionable. This is where we come in to help: it is truly worth making the effort to give people of all backgrounds access to your makerspace, so we take a look at why it’s nice to be nice, and at the ways in which one makerspace has put niceness into practice — with great results. 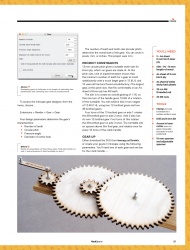 We also show you how to easily calculate the size and radius of laser-cut gears, use a bank of LEDs to etch PCBs in your own mini factory, and use chemistry to mess with your lunch menu. 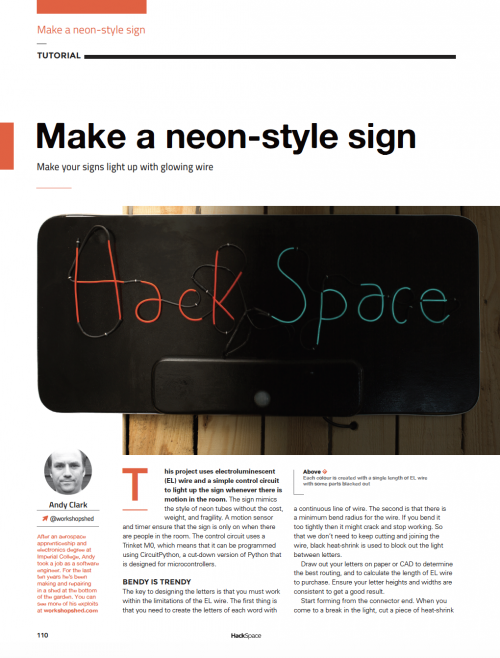 All this plus much, much more waits for you in HackSpace magazine issue 7! If you like the sound of that, you can find HackSpace magazine in WHSmith, Tesco, Sainsbury’s, and independent newsagents in the UK. If you live in the US, check out your local Barnes & Noble, Fry’s, or Micro Center next week. We’re also shipping to stores in Australia, Hong Kong, Canada, Singapore, Belgium, and Brazil, so be sure to ask your local newsagent whether they’ll be getting HackSpace magazine. And if you can’t get to the shops, fear not: you can subscribe from £4 an issue from our online shop. And if you’d rather try before you buy, you can always download the free PDF. Happy reading, and happy making! 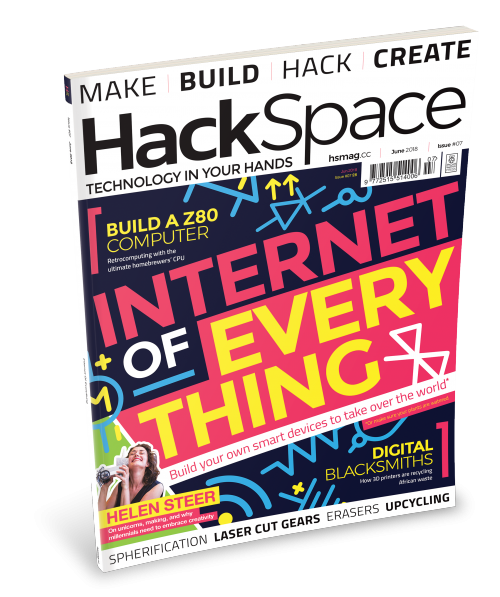 The post HackSpace magazine 7: Internet of Everything appeared first on Raspberry Pi. For the past several years, the UK Government has expressed a strong desire to “clean up” the Internet. Strong emphasis has been placed on making the Internet safer for children but that’s just the tip of a much larger iceberg. This week, the Government published its response to the Internet Safety Strategy green paper, stating unequivocally that more needs to be done to tackle “online harm”. Noting that six out of ten people report seeing inappropriate or harmful content online, the Government said that work already underway with social media companies to protect users had borne fruit but overall industry response has been less satisfactory. As a result, the Government will now carry through with its threat to introduce new legislation, albeit with the assistance of technology companies, children’s charities and other stakeholders. “Digital technology is overwhelmingly a force for good across the world and we must always champion innovation and change for the better,” said Matt Hancock, Secretary of State for Digital, Culture, Media and Sport. While emphasis is being placed on hot-button topics such as cyberbullying and online child exploitation, the Government is clear that it wishes to tackle “the full range” of online harms. That has been greeted by UK music group BPI with a request that the Government introduces new measures to tackle Internet piracy. In a statement issued this week, BPI chief executive Geoff Taylor welcomed the move towards legislative change and urged the Government to encompass the music industry and beyond. “This is a vital opportunity to protect consumers and boost the UK’s music and creative industries. The BPI has long pressed for internet intermediaries and online platforms to take responsibility for the content that they promote to users,” Taylor said. The BPI has published four initial requests, each of which provides food for thought. The demand to “establish a new fast-track process for blocking illegal sites” is not entirely unexpected, particularly given the expense of launching applications for blocking injunctions at the High Court. “The BPI has taken a large number of actions against individual websites – 63 injunctions are in place against sites that are wholly or mainly infringing and whose business is simply to profit from criminal activity,” the BPI says. Those injunctions can be expanded fairly easily to include new sites operating under similar banners or facilitating access to those already covered, but it’s clear the BPI would like something more streamlined. Voluntary schemes, such as the one in place in Portugal, could be an option but it’s unclear how troublesome that could be for ISPs. New legislation could solve that dilemma, however. Another big thorn in the side for groups like the BPI are people and entities that post infringing content. The BPI is very good at taking these listings down from sites and search engines in particular (more than 600 million requests to date) but it’s a game of whac-a-mole the group would rather not engage in. With that in mind, the BPI would like the Government to impose new rules that would compel online platforms to stop content from being re-posted after it’s been taken down while removing the accounts of repeat infringers. Thirdly, the BPI would like the Government to introduce penalties for “online operators” who do not provide “transparent contact and ownership information.” The music group isn’t any more specific than that, but the suggestion is that operators of some sites have a tendency to hide in the shadows, something which frustrates enforcement activity. Finally, and perhaps most interestingly, the BPI is calling on the Government to legislate for a new “duty of care” for online intermediaries and platforms. Specifically, the BPI wants “effective action” taken against businesses that use the Internet to “encourage” consumers to access content illegally. While this could easily encompass pirate sites and services themselves, this proposal has the breadth to include a wide range of offenders, from people posting piracy-focused tutorials on monetized YouTube channels to those selling fully-loaded Kodi devices on eBay or social media. Overall, the BPI clearly wants to place pressure on intermediaries to take action against piracy when they’re in a position to do so, and particularly those who may not have shown much enthusiasm towards industry collaboration in the past. “Legislation in this Bill, to take powers to intervene with respect to operators that do not co-operate, would bring focus to the roundtable process and ensure that intermediaries take their responsibilities seriously,” the BPI says. The Department for Digital, Culture, Media & Sport and the Home Office will now work on a White Paper, to be published later this year, to set out legislation to tackle “online harms”. The BPI and similar entities will hope that the Government takes their concerns on board. Today we’re launching a new partnership between the Scouts and the Raspberry Pi Foundation that will help tens of thousands of young people learn crucial digital skills for life. In this blog post, I want to explain what we’ve got planned, why it matters, and how you can get involved. First, let me tell you why this partnership matters to me. 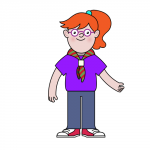 As a child growing up in North Wales in the 1980s, Scouting changed my life. My time with 2nd Rhyl provided me with countless opportunities to grow and develop new skills. It taught me about teamwork and community in ways that continue to shape my decisions today. As my own kids (now seven and ten) have joined Scouting, I’ve seen the same opportunities opening up for them, and like so many parents, I’ve come back to the movement as a volunteer to support their local section. So this is deeply personal for me, and the same is true for many of my colleagues at the Raspberry Pi Foundation who in different ways have been part of the Scouting movement. That shouldn’t come as a surprise. Scouting and Raspberry Pi share many of the same values. We are both community-led movements that aim to help young people develop the skills they need for life. We are both powered by an amazing army of volunteers who give their time to support that mission. We both care about inclusiveness, and pride ourselves on combining fun with learning by doing. Raspberry Pi started life in 2008 as a response to the problem that too many young people were growing up without the skills to create with technology. Our goal is that everyone should be able to harness the power of computing and digital technologies, for work, to solve problems that matter to them, and to express themselves creatively. In 2012 we launched our first product, the world’s first $35 computer. Just six years on, we have sold over 20 million Raspberry Pi computers and helped kickstart a global movement for digital skills. The Raspberry Pi Foundation now runs the world’s largest network of volunteer-led computing clubs (Code Clubs and CoderDojos), and creates free educational resources that are used by millions of young people all over the world to learn how to create with digital technologies. And lots of what we are able to achieve is because of partnerships with fantastic organisations that share our goals. For example, through our partnership with the European Space Agency, thousands of young people have written code that has run on two Raspberry Pi computers that Tim Peake took to the International Space Station as part of his Mission Principia. 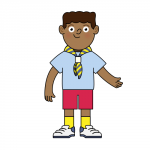 Today we’re launching the new Digital Maker Staged Activity Badge to help tens of thousands of young people learn how to create with technology through Scouting. Over the past few months, we’ve been working with the Scouts all over the UK to develop and test the new badge requirements, along with guidance, project ideas, and resources that really make them work for Scouting. We know that we need to get two things right: relevance and accessibility. Relevance is all about making sure that the activities and resources we provide are a really good fit for Scouting and Scouting’s mission to equip young people with skills for life. From the digital compass to nature cameras and the reinvented wide game, we’ve had a lot of fun thinking about ways we can bring to life the crucial role that digital technologies can play in the outdoors and adventure. We are beyond excited to be launching a new partnership with the Raspberry Pi Foundation, which will help tens of thousands of young people learn digital skills for life. We also know that there are great opportunities for Scouts to use digital technologies to solve social problems in their communities, reflecting the movement’s commitment to social action. Today we’re launching the first set of project ideas and resources, with many more to follow over the coming weeks and months. 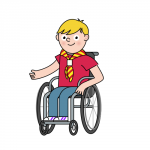 Accessibility is about providing every Scout leader with the confidence, support, and kit to enable them to offer the Digital Maker Staged Activity Badge to their young people. A lot of work and care has gone into designing activities that require very little equipment: for example, activities at Stages 1 and 2 can be completed with a laptop without access to the internet. For the activities that do require kit, we will be working with Scout Stores and districts to make low-cost kit available to buy or loan. We’re producing accessible instructions, worksheets, and videos to help leaders run sessions with confidence, and we’ll also be planning training for leaders. We will work with our network of Code Clubs and CoderDojos to connect them with local sections to organise joint activities, bringing both kit and expertise along with them. Today’s launch is just the start. We’ll be developing our partnership over the next few years, and we can’t wait for you to join us in getting more young people making things with technology. 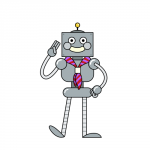 Take a look at the brand-new Raspberry Pi resources designed especially for Scouts, to get young people making and creating right away. 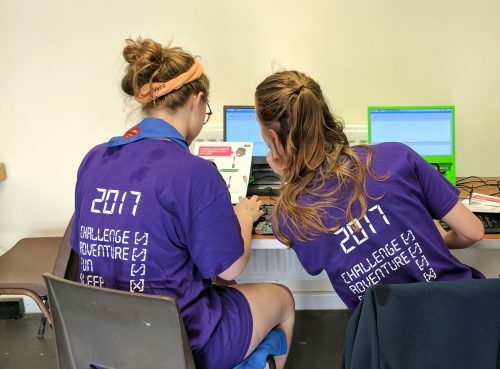 The post Working with the Scout Association on digital skills for life appeared first on Raspberry Pi. The Intercept has a long article on Japan’s equivalent of the NSA: the Directorate for Signals Intelligence. Interesting, but nothing really surprising. The directorate has a history that dates back to the 1950s; its role is to eavesdrop on communications. But its operations remain so highly classified that the Japanese government has disclosed little about its work ­ even the location of its headquarters. Most Japanese officials, except for a select few of the prime minister’s inner circle, are kept in the dark about the directorate’s activities, which are regulated by a limited legal framework and not subject to any independent oversight. Now, a new investigation by the Japanese broadcaster NHK — produced in collaboration with The Intercept — reveals for the first time details about the inner workings of Japan’s opaque spy community. Based on classified documents and interviews with current and former officials familiar with the agency’s intelligence work, the investigation shines light on a previously undisclosed internet surveillance program and a spy hub in the south of Japan that is used to monitor phone calls and emails passing across communications satellites. The article includes some new documents from the Snowden archive. Back in 2014, Universal Music, Sony Music, Warner Music, Nordisk Film and the Swedish Film Industry filed a lawsuit against Bredbandsbolaget, one of Sweden’s largest ISPs. 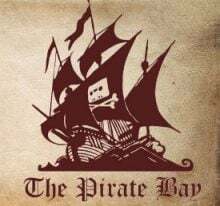 The copyright holders asked the Stockholm District Court to order the ISP to block The Pirate Bay and streaming site Swefilmer, claiming that the provider knowingly facilitated access to the pirate platforms and assisted their pirating users. Soon after the ISP fought back, refusing to block the sites in a determined response to the Court. “Bredbandsbolaget’s role is to provide its subscribers with access to the Internet, thereby contributing to the free flow of information and the ability for people to reach each other and communicate,” the company said in a statement. In February 2015 the parties met in court, with Bredbandsbolaget arguing in favor of the “important principle” that ISPs should not be held responsible for content exchanged over the Internet, in the same way the postal service isn’t responsible for the contents of an envelope. 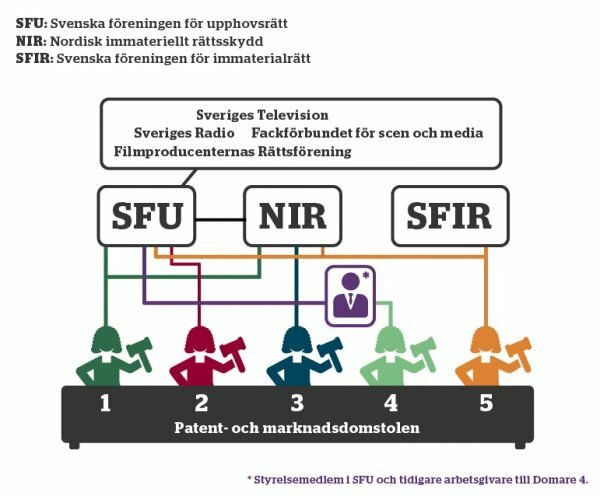 But with TV companies SVT, TV4 Group, MTG TV, SBS Discovery and C More teaming up with the IFPI alongside Paramount, Disney, Warner and Sony in the case, Bredbandsbolaget would need to pull out all the stops to obtain victory. The company worked hard and initially the news was good. In November 2015, the Stockholm District Court decided that the copyright holders could not force Bredbandsbolaget to block the pirate sites, ruling that the ISP’s operations did not amount to participation in the copyright infringement offenses carried out by some of its ‘pirate’ subscribers. However, the case subsequently went to appeal, with the brand new Patent and Market Court of Appeal hearing arguments. In February 2017 it handed down its decision, which overruled the earlier ruling of the District Court and ordered Bredbandsbolaget to implement “technical measures” to prevent its customers accessing the ‘pirate’ sites through a number of domain names and URLs. With nowhere left to go, Bredbandsbolaget and owner Telenor were left hanging onto their original statement which vehemently opposed site-blocking. “It is a dangerous path to go down, which forces Internet providers to monitor and evaluate content on the Internet and block websites with illegal content in order to avoid becoming accomplices,” they said. In March 2017, Bredbandsbolaget blocked The Pirate Bay but said it would not give up the fight. “We are now forced to contest any future blocking demands. It is the only way for us and other Internet operators to ensure that private players should not have the last word regarding the content that should be accessible on the Internet,” Bredbandsbolaget said. While it’s not clear whether any additional blocking demands have been filed with the ISP, this week an announcement by Bredbandsbolaget parent company Telenor revealed an unexpected knock-on effect. Seemingly without a single shot being fired, The Pirate Bay will now be blocked by Telenor too. The background lies in Telenor’s acquisition of Bredbandsbolaget back in 2005. Until this week the companies operated under separate brands but will now merge into one entity. “Telenor Sweden and Bredbandsbolaget today take the final step on their joint trip and become the same company with the same name. As a result, Telenor becomes a comprehensive provider of broadband, TV and mobile communications,” the company said in a statement this week. Up until this final merger, 600,000 Bredbandsbolaget broadband customers were denied access to The Pirate Bay. Now it appears that Telenor’s 700,000 fiber and broadband customers will be affected too. The new single-brand company says it has decided to block the notorious torrent site across its entire network. “We have not discontinued Bredbandsbolaget, but we have merged Telenor and Bredbandsbolaget and become one,” the company said. TorrentFreak contacted the PR departments of both Telenor and Bredbandsbolaget requesting information on why a court order aimed at only the latter’s customers would now affect those of the former too, more than doubling the blockade’s reach. Neither company responded which leaves only speculation as to its motives. On the one hand, the decision to voluntarily implement an expanded blockade could perhaps be viewed as a little unusual given how much time, effort and money has been invested in fighting web-blockades in Sweden. On the other, the merger of the companies may present legal difficulties as far as the court order goes and it could certainly cause friction among the customer base of Telenor if some customers could access TPB, and others could not. In any event, the legal basis for web-blocking on copyright infringement grounds was firmly established last year at the EU level, which means that Telenor would lose any future legal battle, should it decide to dig in its heels. On that basis alone, the decision to block all customers probably makes perfect commercial sense. Once upon a time, torrent and web streaming sites were regularly in the headlines while being targeted by the authorities. With the rise of set-top box streaming, actions against pirate IPTV operations are more regularly making the news. 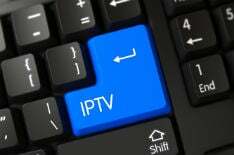 In an operation coordinated by the public prosecutor’s office in Rome, 150 officers of the Provincial Command of the Guardia di Finanza (GdF) this week targeted what appears to be a fairly large unauthorized IPTV provider. Under the banner Operation Spinoff, in Italy, more than 50 searches were carried out in 20 provinces of 11 regions. Five people were arrested. Elsewhere in Europe – in Switzerland, Germany and Spain – the Polizei Basel-Landschaft, the Kriminal Polizei and the Policia Nacional coordinated to execute warrants. “Through technical and ‘in-the-field’ investigations and the meticulous reconstruction of financial flows, carried out mainly through prepaid credit cards or payment web platforms, investigators have reconstructed the activity of a pyramid-like criminal structure dedicated to the illegal decryption and diffusion of pay-per-view television content through the Internet,” the GdF said in a statement. 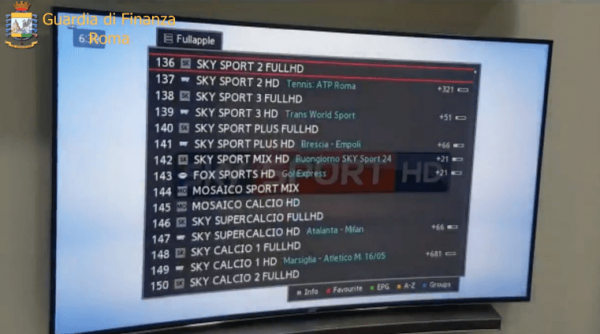 Italian authorities report that the core of the IPTV operation were its sources of original content and channels. These were located in a range of diverse locations such as companies, commercial premises, garages and even private homes. Inside each location was equipment to receive, decrypt and capture signals from broadcasters including Sky TV. These signals were collected together to form a package of channels which were then transmitted via the Internet and sold to the public in the form of an IPTV subscription. Packages were reportedly priced between 15 and 20 euros per month. It’s estimated that between the 49 individuals said to be involved in the operation, around one million euros was generated. All are suspected of copyright infringement and money laundering offenses. Of the five Italian citizens reported to be at the core of the operations, four were taken into custody and one placed under house arrest. Reports identify the suspects as: ‘AS’, born 1979 and residing in Lorrach, Germany. ‘RM’, born 1987 and living in Sarno, Italy. ‘LD’, born 1996 and also living in Sarno, Italy. ‘GP’, born 1990, living in Pordenone, Italy. And ‘SM’, born 1981 and living in Zagarolo, Italy. Players at all levels of the business are under investigation, from the sources who decrypted the signals to the sellers and re-sellers of the content to end users. Also under the microscope are people said to have laundered the operation’s money through credit cards and payment platforms. Exactly one year ago, millions of users in the BitTorrent community went into mourning with the shock depature of one of its major players. ExtraTorrent was founded in back in November 2006, at a time when classic platforms such as TorrentSpy and Mininova were dominating the torrent site landscape. But with dedication and determination, the site amassed millions of daily visitors, outperforming every other torrent site apart from the mighty Pirate Bay. Then, on May 17, 2017, everything came crashing down. While ExtraTorrent staff couldn’t be more clear in advising people to stay away from clones, few people listened to their warnings. Within hours, new sites appeared claiming to be official replacements for the much-loved torrent site and people flocked to them in their millions. One of those was ExtraTorrent.ag, a torrent site connected to the operators of EZTV.ag, which appeared as a replacement in the wake of the official EZTV’s demise. Graphically very similar to the original ExtraTorrent, the .ag ‘replacement’ had none of its namesake’s community or unique content. But that didn’t dent its popularity. At the start of this week, ExtraTorrent.ag was one of the most popular torrent sites on the Internet. With an Alexa rank of around 2,200, it would’ve clinched ninth position in our Top 10 Torrent Sites report earlier this year. However, after registering the site’s domain a year ago, something seems to have gone wrong. Yesterday, on the anniversary of ExtraTorrent’s shutdown and exactly a year after the ExtraTorrent.ag domain was registered, ExtraTorrent.ag disappeared only to be replaced by a generic landing page, as shown below. This morning, however, there appear to be additional complications. Accessing with Firefox produces the page above but attempting to do so with Chrome produces an ominous security warning. Indeed, those protected by MalwareBytes won’t be able to access the page at all, since ExtraTorrent.ag redirects to the domain FindBetterResults.com, which the anti-malware app flags as malicious. The change was reported to TF by the operator of domain unblocking site Unblocked.lol, which offers torrent site proxies as well as access to live TV and sports. “I noticed when I started receiving emails saying ExtraTorrent was redirecting to some parked domain. When I jumped on the PC and checked myself it was just redirecting to a blank page,” he informs us. So what has happened to this previously-functioning domain? Whois records show that ExtraTorrent.ag was created on May 17, 2017 and appears to have been registered for a year. Yesterday, on May 17, 2018, the domain was updated to list what could potentially be a new owner, with an expiry date of May 17, 2019. Once domains have expired, they usually enter an ‘Auto-Renew Grace Period’ for up to 45 days. This is followed by a 30-day ‘Redemption Grace Period’. At the end of this second period, domains cannot be renewed and are released for third-parties to register. That doesn’t appear to have been the case here. So, to find out more about the sudden changes we reached out to the email address listed in the WHOIS report but received no response. Should we hear more we’ll update this report but in the meantime the Internet has lost one of its largest torrent sites and gained a rather pointless landing page with potential security risks. Amazon Linux 2 is the next generation of Amazon Linux, a Linux server operating system from Amazon Web Services (AWS). Amazon Linux 2 offers a high-performance Linux environment suitable for organizations of all sizes. It supports applications ranging from small websites to enterprise-class, mission-critical platforms. Amazon Linux 2 includes support for the LAMP (Linux/Apache/MariaDB/PHP) stack, one of the most popular platforms for deploying websites. To secure the transmission of data-in-transit to such websites and prevent eavesdropping, organizations commonly leverage Secure Sockets Layer/Transport Layer Security (SSL/TLS) services which leverage certificates to provide encryption. The LAMP stack provided by Amazon Linux 2 includes a self-signed SSL/TLS certificate. Such certificates may be fine for internal usage but are not acceptable when attestation by a certificate authority is required. In this post, I discuss how to extend the capabilities of Amazon Linux 2 by installing Let’s Encrypt, a certificate authority provided by the Internet Security Research Group. Let’s Encrypt offers basic SSL/TLS certificates for DNS hosts at no charge that you can use to add encryption-in-transit to a single web server. For commercial or multi-server configurations, you should consider AWS Certificate Manager and Elastic Load Balancing. Let’s Encrypt also requires the certbot package, which you install from EPEL, the Extra Packaged for Enterprise Linux collection. Although EPEL is not included with Amazon Linux 2, I show how you can install it from the Fedora Project. Provision a VPC, Amazon Linux 2 instance, and LAMP stack. Install and enable the EPEL repository. Install and configure Let’s Encrypt. An AWS account that provides access to Amazon EC2 and Amazon VPC. An Amazon EC2 key pair. A program such as PuTTY that allows you to connect to the Amazon Linux 2 instance using the SSH protocol. Working knowledge of Amazon EC2 and Amazon VPC. The ability to configure DNS entries for a host domain. You may incur charges for the resources you use including, but not limited to, the Amazon EC2 instance and the associated network charges. Create a VPC with a single public subnet, a routing table, and an internet gateway. Select the Amazon Linux 2 AMI. Choose t2.micro for the instance type. Accept all other default values including with regard to storage. Create a new security group and accept the default rule that allows TCP port 22 (SSH) from everywhere (0.0.0.0/0 in IPv4). For the purposes of this walkthrough, permitting access from all IP addresses is reasonable. In a production environment, you may restrict access to different addresses. Allocate and associate an Elastic IP address to the server when it enters the running state. Browse to the Elastic IP address that you just created and confirm that you can see the Apache test page, as illustrated below. Connect to your Amazon Linux 2 instance at the Elastic IP address that you just created. Respond “Y” to all requests for approval to install the software. If you are no longer connected to the Amazon Linux 2 instance, connect to it at the Elastic IP address that you just created. Install certbot, the Let’s Encrypt client to be used to obtain an SSL/TLS certificate and install it into Apache. If you see a message appear about SELinux, you can safely ignore it. This is a known issue with the latest version of certbot. Create a DNS “A record” that maps a host name to the Elastic IP address. For this post, assume that the name of the host is lamp.example.com. If you are hosting your DNS in Amazon Route 53, do this by creating the appropriate record set. 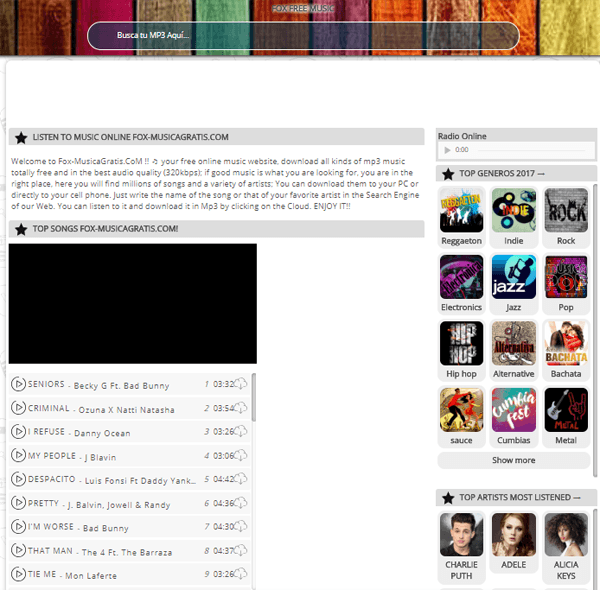 After the “A record” has propagated, browse to lamp.example.com. The Apache test page should appear. If the page does not appear, use a tool such as nslookup on your workstation to confirm that the DNS record has been properly configured. Confirms that you have control over the DNS domain being used, by having you create a DNS TXT record using the value that it provides. Modifies the Apache-related scripts to use the SSL/TLS certificate and redirects users browsing the site in HTTP mode to HTTPS mode. -i apache                                          Use the Apache installer. -a manual                                          Authenticate domain ownership manually. --preferred-challenges dns    Use DNS TXT records for authentication challenge. -d lamp.example.com           Specify the domain for the SSL/TLS certificate. E-mail address for renewals? Enter an email address for certificate renewals. Accept the terms of services? Respond as appropriate. Send your e-mail address to the EFF? Respond as appropriate. Log your current IP address? Respond as appropriate. 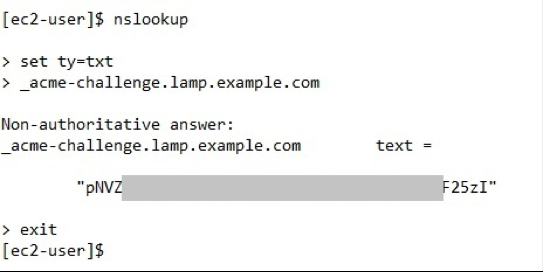 You are prompted to deploy a DNS TXT record with the name “_acme-challenge.lamp.example.com” with the supplied value, as shown below. After you enter the record, wait until the TXT record propagates. To look up the TXT record to confirm the deployment, use the nslookup command in a separate command window, as shown below. Remember to use the set ty=txt command before entering the TXT record. You are prompted to select a virtual host. There is only one, so choose 1. The final prompt asks whether to redirect HTTP traffic to HTTPS. To perform the redirection, choose 2. That completes the configuration of Let’s Encrypt. To enable HTTPS (TCP port 443) traffic, add a rule to the security group for your Amazon Linux 2 instance. Browse to the http:// lamp.example.com site. You are redirected to the SSL/TLS page https://lamp.example.com. To look at the encryption information, use the appropriate actions within your browser. For example, in Firefox, you can open the padlock and traverse the menus. In the encryption technical details, you can see from the “Connection Encrypted” line that traffic to the website is now encrypted using TLS 1.2. Save the file. After you make changes to this file, Let’s Encrypt no longer automatically updates it. Periodically check your log files for recommended updates to this file. Use the following steps to avoid incurring any further costs. Terminate the Amazon Linux 2 instance that you created. Release the Elastic IP address that you allocated. Revert any DNS changes that you made, including the A and TXT records. Amazon Linux 2 is an excellent option for hosting websites through the LAMP stack provided by the Amazon-Linux-Extras feature. You can then enhance the security of the Apache web server by installing EPEL and Let’s Encrypt. Let’s Encrypt provisions an SSL/TLS certificate, optionally installs it for you on the Apache server, and enables data-in-transit encryption. You can get started with Amazon Linux 2 in just a few clicks. 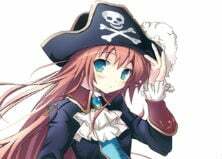 Back in March, Japan’s Chief Cabinet Secretary Yoshihide Suga said that the government was considering measures to prohibit access to pirate sites. While protecting all content is the overall aim, it became clear that the government was determined to protect Japan’s successful manga and anime industries. It didn’t take long for a reaction. On Friday April 13, the government introduced emergency website blocking measures, seeking cooperation from the country’s ISPs. NTT Communications Corp., NTT Docomo Inc. and NTT Plala Inc., quickly announced they would block three leading pirate sites – Mangamura, AniTube! and MioMio which have a huge following in Japan. However, after taking the country by storm during the past two years, Mangamura had already called it quits. On April 17, in the wake of the government announcement, Mangamura disappeared. It’s unclear whether its vanishing act was directly connected to recent developments but a program on national public broadcasting organization NHK, which claimed to have traced the site’s administrators back to the United States, Ukraine, and other regions, can’t have helped. Further details released this morning reveal the intense pressure Mangamura was under. With 100 million visits a month it was bound to attract attention and according to Mainichi, several publishing giants ran out of patience last year and reported the platform to the authorities. Kodansha, Japan’s largest publisher, and three other companies filed criminal complaints with Fukuoka Prefectural Police, Oita Prefectural Police, and other law enforcement departments, claiming the site violated their rights. “The complaints, which were lodged against an unknown suspect or suspects, were filed on behalf of manga artists who are copyright holders to the pirated works, including Hajime Isayama and Eiichiro Oda, known for their wildly popular ‘Shingeki no Kyojin’ (‘Attack on Titan,’ published by Kodansha) and ‘One Piece’ (Shueisha Inc.), respectively,” the publication reports. Mangamura launch in January 2016 and became a huge hit in Japan. Anti-piracy group Content Overseas Distribution Association (CODA), which counts publishing giant Kodansha among its members, reports that between September 2017 and February 2018, the site was accessed 620 million times. Based on a “one visit, one manga title read” formula, CODA estimates that the site caused damages to the manga industry of 319.2 billion yen – around US$2.91 billion. As a result, police are now stepping up their efforts to identify Mangamura’s operators. Whether that will prove fruitful will remain to be seen but in the meantime, Japan’s site-blocking efforts continue to cause controversy. As reported last month, lawyer and NTT customer Yuichi Nakazawa launched legal action against NTT, demanding that the corporation immediately end its site-blocking operations. “NTT’s decision was made arbitrarily on the site without any legal basis. No matter how legitimate the objective of copyright infringement is, it is very dangerous,” Nakazawa told TorrentFreak. Japan’s Constitution and its Telecommunications Business Act both have “no censorship” clauses, meaning that site-blocking has the potential to be ruled illegal. It’s also illegal in Japan to invade the privacy of Internet users’ communications, which some observers have argued is necessary if users are to be prevented from accessing pirate sites. Spencer Ackerman has this interesting story about a guy assigned to crack down on unauthorized White House leaks. It’s necessarily light on technical details, so I thought I’d write up some guesses, either as a guide for future reporters asking questions, or for people who want to better know the risks when leak information. It should come as no surprise that your work email and phone are already monitored. They can get every email you’ve sent or received, even if you’ve deleted it. They can get every text message you’ve sent or received, the metadata of every phone call sent or received, and so forth. To a lesser extent, this also applies to your well-known personal phone and email accounts. Law enforcement can get the metadata (which includes text messages) for these things without a warrant. In the above story, the person doing the investigation wasn’t law enforcement, but I’m not sure that’s a significant barrier if they can pass things onto the Secret Service or something. The danger here isn’t that you used these things to leak, it’s that you’ve used these things to converse with the reporter before you made the decision to leak. That’s what happened in the Reality Winner case: she communicated with The Intercept before she allegedly leaked a printed document to them via postal mail. While it wasn’t conclusive enough to convict her, the innocent emails certainly put the investigators on her trail. The path to leaking often starts this way: innocent actions before the decision to leak was made that will come back to haunt the person afterwards. That includes emails. That also includes Google searches. That includes websites you visit (like this one). I’m not sure how to solve this, except that if you’ve been in contact with The Intercept, and then you decide to leak, send it to anybody but The Intercept. By the way, the other thing that caught Reality Winner is the records they had of her accessing files and printing them on a printer. Depending where you work, they may have a record of every file you’ve accessed, every intranet page you visited. Because of the way printers put secret dots on documents, investigators know precisely which printer and time the document leaked to The Intercept was printed. Photographs suffer the same problem: your camera and phone tag the photographs with GPS coordinates and time the photograph was taken, as well as information about the camera. This accidentally exposed John McAfee’s hiding location when Vice took pictures of him a few years ago. Some people leak by taking pictures of the screen — use a camera without GPS for this (meaning, a really old camera you bought from a pawnshop). These examples should impress upon you the dangers of not understanding technology. As soon as you do something to evade surveillance you know about, you may get caught by surveillance you don’t know about. If you nonetheless want to continue forward, the next step may be to get a “burner phone”. You can get an adequate Android “prepaid” phone for cash at the local Walmart, electronics store, or phone store. There’s some problems with such phones, though. They can often be tracked back to the store that sold them, and the store will have security cameras that record you making the purchase. 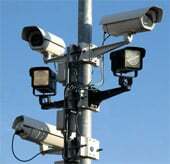 License plate readers and GPS tracking on your existing phone may also place you at that Walmart. I don’t know how to resolve these problems. Perhaps the best is grow a beard and on the last day of your vacation, color your hair, take a long bike/metro ride (without your existing phone) to a store many miles away and pick up a phone, then shave and change your color back again. I don’t know — there’s a good chance any lame attempt you or I might think of has already been experienced by law enforcement, so they are likely ahead of you. Maybe ask your local drug dealer where they get their burner phones, and if they can sell you one. Of course, that just means when they get caught for drug dealing, they can reduce their sentence by giving up the middle class person who bought a phone from them. Lastly, they may age out old security videos, so simply waiting six months before using the phone might work. That means prepaying for an entire year. Note that I’m not going to link to examples of cheap burner phones on this page. Web browsers will sometimes prefetch some information from links in a webpage, so simply including links in this page can condemn you as having interest in burner phones. You are already in enough trouble for having visited this web page. Burner phones have GPS. Newer the technology, like the latest Android LTE phones, have pretty accurate GPS that the police can query (without a warrant). If you take the phone home and turn it on, they’ll then be able to trace back the phone to your home. Carrying the phone around with you has the same problem, with the phone’s location correlating with your existing phone (which presumably you also carry) or credit card receipts. Rumors are that Petraeus was partly brought down by tracking locations where he used his credit card, namely, matching the hotel he was in with Internet address information. Older phones that support 3G or even 2G have poorer GPS capabilities. They’ll still located you to the nearest cell tower, but not as accurately to your exact location. A better strategy than a burner phone would be a burner laptop computer used with WiFi. You can get a cheap one for $200 at Amazon.com. My favorite are the 11 inch ones with a full sized keyboard and Windows 10. Better yet, get an older laptop for cash from a pawn shop. You can install chat apps on this like “Signal Desktop”, “Wire Desktop”, or “WhatsApp” that will allow you to securely communicate. Or use “Discord”, which isn’t really encrypted, but it’s popular among gamers so therefore less likely to stand out. You can sit in a bar with free WiFi and a USB headset and talk to reporters without having a phone. If the reporter you want to leak to doesn’t have those apps (either on their own laptop or phone) then you don’t want to talk to them. Needless to say, don’t cross the streams. Don’t log onto your normal accounts like Facebook. If you create fake Facebook accounts, don’t follow the same things. Better yet, configure your browser to discard all information (especially “cookies”) every time you log off, so you can’t be tracked. Install ad blockers, or use the “Brave” web browser, to remove even more trackers. A common trick among hackers is to change the “theme” to a red background, as a constant subliminal reminder that you using your dangerous computer, and never to do anything that identifies the real you. Put tape over the camera. I’m not sure it’s a really big danger, but put tape over the camera. If they infect you enough to get your picture, they’ve also infected you enough to record any audio on your computer. Remember that proper encryption is end-to-end (they can’t eavesdrop in transit), but if they hack the ends (your laptop, or the reporter’s) they can still record the audio. Note that when your burner laptop is in “sleep” mode, it can still be talking to the local wifi. Before taking it home, make sure it’s off. Go into the settings and configure it so that when the lid is closed, the computer is turned completely off. It goes without saying: don’t use that burner laptop from home. Luckily, free wifi is everyone, so the local cafe, bar, or library can be used. The next step is to also use a VPN or Tor to mask your Internet address. If there’s an active investigation into the reporter, they’ll get the metadata, the Internet address of the bar/cafe you are coming from. A good VPN provider or especially Tor will stop this. Remember that these providers increase latency, making phone calls a bit harder, but they are a lot safer. Remember that Ross Ulbricht (owner of dark website market Silk Road) was caught in a library. They’d traced back his Internet address and grabbed his laptop out of his hands. Having it turn off (off off, not sleep off) when the lid is closed is one way to reduce this risk. Configuring your web browser to flush all cookies and passwords on restart is another. If they catch you in mid conversation with your secret contact, though, they’ll at least be able to hear your side of the conversation, and know who you are talking to. The best measure, though it takes some learning, is “Tails live”. It’s a Linux distribution preconfigured with Tor and various secure chat apps that’ll boot from the USB or SD card. When you turn off the computer, nothing will be saved, so there will be no evidence saved to the disk for investigators to retrieve later. While we are talking about Tor, it should be noted that many news organizations (NYTimes, Washington Post, The Intercept, etc.) support “SecureDrop” accessed only through Tor for receiving anonymous tips. Burner laptops you use from bars from Tails is the likely your most secure way of doing things. The point of this post was not to provide a howto guide, but to discuss many of the technological issues involved. In a story about White House people investigating leaks, I’d like to see something in this technological direction. I’d like to know exactly how they were investigating leaks. Certainly, they were investigating all work computers, accounts, and phones. Where they also able to get to non-work computers, accounts, phones? Did they have law enforcement powers? What could they do about burner phones and laptops? In any case, if you do want a howto guide, the discussion above should put some fear into you how easily you can inadvertently make a mistake. Last month, Russian authorities demonstrated that when an entity breaks local Internet rules, no stone will be left unturned to make them pay, whatever the cost. The disaster waiting to happen began when encrypted messaging service Telegram refused to hand over its encryption keys to the state. In response, the Federal Security Service filed a lawsuit, which it won, compelling it Telegram do so. 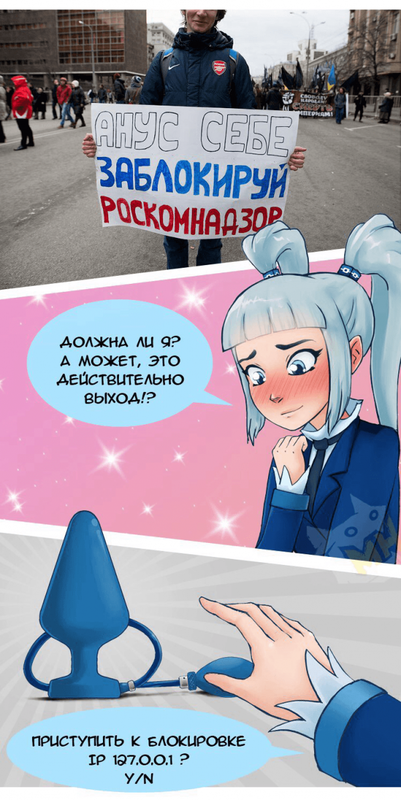 With no response, Roscomnadzor obtained a court order to have Telegram blocked. In a massive response, Russian ISPs – at Roscomnadzor’s behest – began mass-blocking IP addresses on a massive scale. Millions of IP addresses belong to Amazon, Google and other innocent parties were rendered inaccessible in Russia, causing chaos online. Even VPN providers were targeted for facilitating access to Telegram but while the service strained under the pressure, it never went down and continues to function today. In the wake of the operation there has been some attempt at a cleanup job, with Roscomnadzor announcing this week that it had unblocked millions of IP addresses belonging to Google. “As part of a package of the measures to enforce the court’s decision on Telegram, Roskomnadzor has removed six Google subnets (more than 3.7 million IP-addresses) from the blocklist,” the telecoms watchdog said in a statement. But while Roscomnadzor attempts to calm the seas, those angered by Russia’s carpet-bombing of the Internet were determined to make their voices heard. Hackers attacked the website of the Federal Agency for International Cooperation this week, defacing it with scathing criticism combined with NSFW suggestions and imagery. “Greetings, Roskomnadzor,” the message began. Signing off with advice to consider the defacement as a “final warning”, the hackers disappeared into the night after leaving a simple signature. But the hackers weren’t done yet. In a NSFW cartoon strip that probably explains itself, ‘Anonymous’ suggested that Roscomnadzor should perhaps consider blocking itself, with the implement depicted in the final frame. But while Russia’s attack on Telegram raises eyebrows worldwide, the actions of those in authority continue to baffle. Last week, Prime Minister Dmitry Medvedev’s press secretary, Natalia Timakova, publicly advised a colleague to circumvent the Telegram blockade using a VPN, effectively undermining the massive efforts of the authorities. This week the head of Roscomnadzor only added to the confusion. Effectively quashing rumors that he’d resigned due to the Telegram fiasco, Alexander Zharov had a conversation with the editor-in-chief of radio station ‘Says Moscow’. During the liason, which took place during the Victory Parade in Red Square, Zharov was asked how he could be contacted. When Telegram was presented as a potential method, Zharov confirmed that he could be reached via the platform. Finally, in a move that’s hoped could bring an end to the attack on the platform and others like it, Telegram filed an appeal this week challenging a decision by the Supreme Court of Russia which allows the Federal Security Service to demand access to encryption keys. about the sandboxing improvements in the Firefox 60 release. In our blog post on Tuesday, Cryptocurrency Security Challenges, we wrote about the two primary challenges faced by anyone interested in safely and profitably participating in the cryptocurrency economy: 1) make sure you’re dealing with reputable and ethical companies and services, and, 2) keep your cryptocurrency holdings safe and secure. In this post, we’re going to focus on how to make sure you don’t lose any of your cryptocurrency holdings through accident, theft, or carelessness. You do that by backing up the keys needed to sell or trade your currencies. Of the 16.4 million bitcoins said to be in circulation in the middle of 2017, close to 3.8 million may have been lost because their owners no longer are able to claim their holdings. Based on today’s valuation, that could total as much as $34 billion dollars in lost value. And that’s just bitcoins. There are now over 1,500 different cryptocurrencies, and we don’t know how many of those have been misplaced or lost. Now that some cryptocurrencies have reached (at least for now) staggering heights in value, it’s likely that owners will be more careful in keeping track of the keys needed to use their cryptocurrencies. For the ones already lost, however, the owners have been separated from their currencies just as surely as if they had thrown Benjamin Franklins and Grover Clevelands over the railing of a ship. In our previous post, we reviewed how cryptocurrency keys work, and the common ways owners can keep track of them. A cryptocurrency owner needs two keys to use their currencies: a public key that can be shared with others is used to receive currency, and a private key that must be kept secure is used to spend or trade currency. Many wallets and applications allow the user to require extra security to access them, such as a password, or iris, face, or thumb print scan. If one of these options is available in your wallets, take advantage of it. Beyond that, it’s essential to back up your wallet, either using the backup feature built into some applications and wallets, or manually backing up the data used by the wallet. When backing up, it’s a good idea to back up the entire wallet, as some wallets require additional private data to operate that might not be apparent. No matter which backup method you use, it is important to back up often and have multiple backups, preferable in different locations. As with any valuable data, a 3-2-1 backup strategy is good to follow, which ensures that you’ll have a good backup copy if anything goes wrong with one or more copies of your data. One more caveat, don’t reuse passwords. This applies to all of your accounts, but is especially important for something as critical as your finances. Don’t ever use the same password for more than one account. If security is breached on one of your accounts, someone could connect your name or ID with other accounts, and will attempt to use the password there, as well. Consider using a password manager such as LastPass or 1Password, which make creating and using complex and unique passwords easy no matter where you’re trying to sign in. There are numerous ways to be sure your keys are backed up. Let’s take them one by one. If you’re using a wallet program on your computer, for example, Bitcoin Core, it will store your keys, along with other information, in a file. For Bitcoin Core, that file is wallet.dat. Other currencies will use the same or a different file name and some give you the option to select a name for the wallet file. To back up the wallet.dat or other wallet file, you might need to tell your backup program to explicitly back up that file. Users of Backblaze Backup don’t have to worry about configuring this, since by default, Backblaze Backup will back up all data files. You should determine where your particular cryptocurrency, wallet, or application stores your keys, and make sure the necessary file(s) are backed up if your backup program requires you to select which files are included in the backup. Backblaze B2 is an option for those interested in low-cost and high security cloud storage of their cryptocurrency keys. Backblaze B2 supports 2-factor verification for account access, works with a number of apps that support automatic backups with encryption, error-recovery, and versioning, and offers an API and command-line interface (CLI), as well. The first 10GB of storage is free, which could be all one needs to store encrypted cryptocurrency keys. Apps and wallets will let you export your keys from your app or wallet to a file. Once exported, your keys can be stored on a local drive, USB thumb drive, DAS, NAS, or in the cloud with any cloud storage or sync service you wish. Encrypting the file is strongly encouraged — more on that later. If you use 1Password or LastPass, or other secure notes program, you also could store your keys there. A mnemonic phrase, mnemonic recovery phrase, or mnemonic seed is a list of words that stores all the information needed to recover a cryptocurrency wallet. 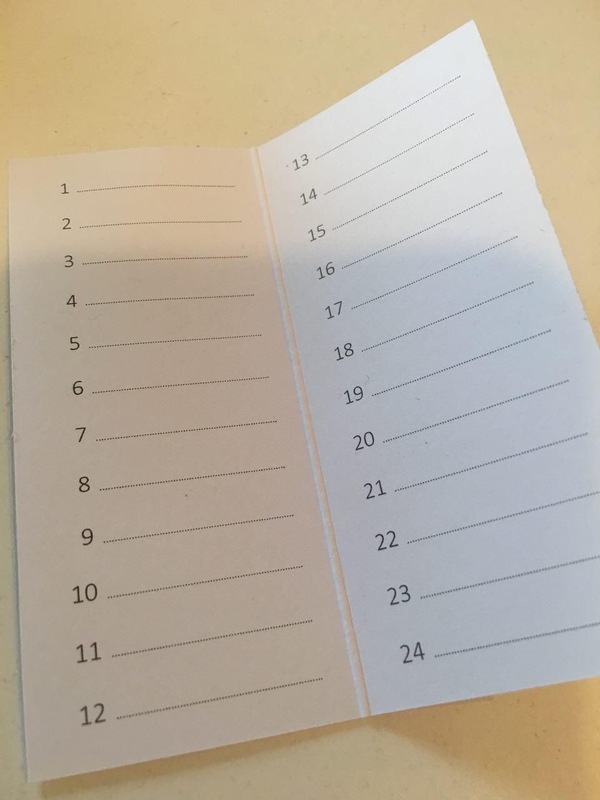 Many wallets will have the option to generate a mnemonic backup phrase, which can be written down on paper. If the user’s computer no longer works or their hard drive becomes corrupted, they can download the same wallet software again and use the mnemonic recovery phrase to restore their keys. The phrase can be used by anyone to recover the keys, so it must be kept safe. Mnemonic phrases are an excellent way of backing up and storing cryptocurrency and so they are used by almost all wallets. The first four letters are enough to unambiguously identify the word. Similar words are avoided (such as: build and built). Bitcoin and most other cryptocurrencies such as Litecoin, Ethereum, and others use mnemonic seeds that are 12 to 24 words long. Other currencies might use different length seeds. Some cryptocurrency holders believe that their backup, or even all their cryptocurrency account information, should be stored entirely separately from the internet to avoid any risk of their information being compromised through hacks, exploits, or leaks. This type of storage is called “cold storage.” One method of cold storage involves printing out the keys to a piece of paper and then erasing any record of the keys from all computer systems. The keys can be entered into a program from the paper when needed, or scanned from a QR code printed on the paper. Some who go to extremes suggest separating the mnemonic needed to access an account into individual pieces of paper and storing those pieces in different locations in the home or office, or even different geographical locations. Some say this is a bad idea since it could be possible to reconstruct the mnemonic from one or more pieces. How diligent you wish to be in protecting these codes is up to you. There’s another option that could make you the envy of your friends. That’s the CryptoSteel wallet, which is a stainless steel metal case that comes with more than 250 stainless steel letter tiles engraved on each side. Codes and passwords are assembled manually from the supplied part-randomized set of tiles. Users are able to store up to 96 characters worth of confidential information. Cryptosteel claims to be fireproof, waterproof, and shock-proof. Of course, if you leave your Cryptosteel wallet in the pocket of a pair of ripped jeans that gets thrown out by the housekeeper, as happened to the character Russ Hanneman on the TV show Silicon Valley in last Sunday’s episode, then you’re out of luck. That fictional billionaire investor lost a USB drive with $300 million in cryptocoins. Let’s hope that doesn’t happen to you. Whether you store your keys on your computer, an external disk, a USB drive, DAS, NAS, or in the cloud, you want to make sure that no one else can use those keys. The best way to handle that is to encrypt the backup. With Backblaze Backup for Windows and Macintosh, your backups are encrypted in transmission to the cloud and on the backup server. Users have the option to add an additional level of security by adding a Personal Encryption Key (PEK), which secures their private key. Your cryptocurrency backup files are secure in the cloud. Using our web or mobile interface, previous versions of files can be accessed, as well. Our object storage cloud offering, Backblaze B2, can be used with a variety of applications for Windows, Macintosh, and Linux. With B2, cryptocurrency users can choose whichever method of encryption they wish to use on their local computers and then upload their encrypted currency keys to the cloud. Depending on the client used, versioning and life-cycle rules can be applied to the stored files. Other backup programs and systems provide some or all of these capabilities, as well. If you are backing up to a local drive, it is a good idea to encrypt the local backup, which is an option in some backup programs. Some experts recommend using a different address for each cryptocurrency transaction. Since the address is not the same as your wallet, this means that you are not creating a new wallet, but simply using a new identifier for people sending you cryptocurrency. Creating a new address is usually as easy as clicking a button in the wallet. One of the chief advantages of using a different address for each transaction is anonymity. Each time you use an address, you put more information into the public ledger (blockchain) about where the currency came from or where it went. That means that over time, using the same address repeatedly could mean that someone could map your relationships, transactions, and incoming funds. The more you use that address, the more information someone can learn about you. For more on this topic, refer to Address reuse. Note that a downside of using a paper wallet with a single key pair (type-0 non-deterministic wallet) is that it has the vulnerabilities listed above. Each transaction using that paper wallet will add to the public record of transactions associated with that address. Newer wallets, i.e. “deterministic” or those using mnemonic code words support multiple addresses and are now recommended. There are other approaches to keeping your cryptocurrency transaction secure. Here are a couple of them. Multi-signature refers to requiring more than one key to authorize a transaction, much like requiring more than one key to open a safe. It is generally used to divide up responsibility for possession of cryptocurrency. Standard transactions could be called “single-signature transactions” because transfers require only one signature — from the owner of the private key associated with the currency address (public key). Some wallets and apps can be configured to require more than one signature, which means that a group of people, businesses, or other entities all must agree to trade in the cryptocurrencies. Deep cold storage ensures the entire transaction process happens in an offline environment. There are typically three elements to deep cold storage. First, the wallet and private key are generated offline, and the signing of transactions happens on a system not connected to the internet in any manner. This ensures it’s never exposed to a potentially compromised system or connection. Second, details are secured with encryption to ensure that even if the wallet file ends up in the wrong hands, the information is protected. Third, storage of the encrypted wallet file or paper wallet is generally at a location or facility that has restricted access, such as a safety deposit box at a bank. Deep cold storage is used to safeguard a large individual cryptocurrency portfolio held for the long term, or for trustees holding cryptocurrency on behalf of others, and is possibly the safest method to ensure a crypto investment remains secure. You should always make sure that you are using the latest version of your app or wallet software, which includes important stability and security fixes. Installing updates for all other software on your computer or mobile device is also important to keep your wallet environment safer. Your cryptocurrency funds can be lost forever if you don’t have a backup plan for your peers and family. If the location of your wallets or your passwords is not known by anyone when you are gone, there is no hope that your funds will ever be recovered. Taking a bit of time on these matters can make a huge difference. Are you comfortable with how you’re managing and backing up your cryptocurrency wallets and keys? Do you have a suggestion for keeping your cryptocurrencies safe that we missed above? Please let us know in the comments. *To the Moon — Crypto slang for a currency that reaches an optimistic price projection. 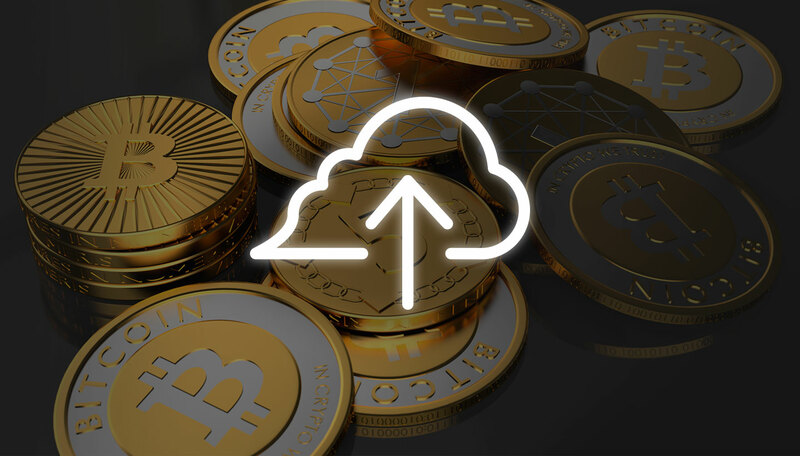 The post Securing Your Cryptocurrency appeared first on Backblaze Blog | Cloud Storage & Cloud Backup.